The Problems with Pet Store Puppies…. I’ve heard horror stories about pet store puppies for most of my adult life and now as a breeder for the last five years, I hear stories from my puppy buyers that just make me want to cry. Innocent people being scammed by unscrupulous con artists. Sick and dying puppies being sold off to unsuspecting dog lovers. Pet owners wondering why their puppy has so many behavioral problems. None of their tales had a happy ending. So, I had to find out for myself what pet stores puppies were all about. But my tale did not just begin. Forty years ago, I purchased my first pet store puppy. Little did I know at the time that I was contributing to an industry that would substantially grow over time with an equally large and bad reputation? Find one wandering on the streets, take it for your own. Most people who had dogs found their companion using one of the last four options. Few people purchased from pet stores or directly from breeders. Unless you were a family that was involved in a canine sport or a breeder yourself, the thought of buying a dog magazine so you could pour over the ads placed by show breeders was just not in your league. If you did find a dog, that puppy would need to be usually shipped from the other side of the country. Coming from a lower class family, the cost of such extravagance was just not even fathomed in my home. There were plenty of dogs to be had elsewhere and much closer to home, for that matter. Sometimes people would find a stray dog, try to find the dog’s owner, and without any luck, just kept the dog for themselves. That was one way to obtain a dog. Another way that was almost as easy was to visit their municipal pound, shelter, or human society and stroll through the aisles of dog kennels looking for a friendly face. The experience was loud, but by the end of the visit, you could safely bet that your dog would pick you out. Both of you would go home happily. Sometimes, you would find a person who had a female dog who just happened to get pregnant by a neighborhood dog and have a litter. These puppies were cheap or free for the taking. There were many a person who found a pet that way. All of these were ways of obtaining a dog for the average middle-class family were considered acceptable. 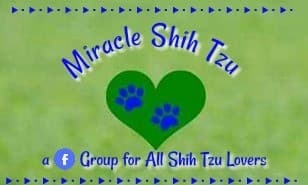 Tzu Tips offers useful tidbits of information about the Shih Tzu Breed, delivered to your inbox. Don't worry, your email address is safe here. 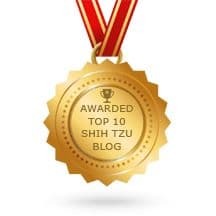 I only use it to send you Tzu news. Then there was the era of the mega stores—the forefathers of Walmart. These were some of these big stores that had a department for all conceivable merchandise, even pets. What a delight it was for children to browse through the aisles of these stores looking at all the pets: from pet turtles and goldfish to cats and dogs. Fast forward a few years and Malls became the favorite shopping destination du jour. Large Malls always leased one space for a pet store, where there was an aisle of small cages each filled with a different type of dog in each. A beautiful aquarium type display housed a couple of playful puppies in the front of the store, enticing shoppers into the shop. Thus the beginning of an industry that still exists today—the mega dog breeding establishments and the neighborhood pet stores. But as time rolled by it became evident that these pet store puppies had some major problems—they were sick, showed little resemblance to the breed standard they purported to be, had some unusual behavioral flaws and well, they just looked miserable in those small cages. The most popular breeds of the days were also those that were most exploited causing deformities and health problems. Responsible breeders of today are still trying to rectify some of these issues. Skip forward a couple of years, and the alarm is sounded by animal welfare folks hoping to enlighten the unsuspecting public with horror stories surrounding these “cute” little pet store puppies. 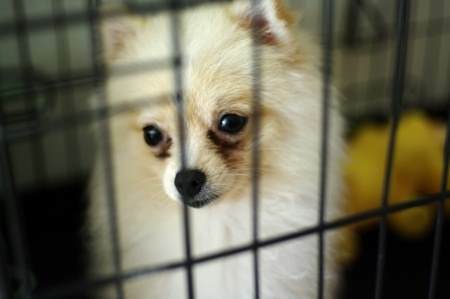 The public learned that they came from so-called “Puppy Mills,” especially from the Midwest USA where they were raised similar to livestock using the same type of farm business model of the day. 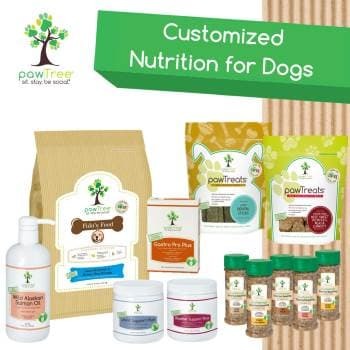 This pet-business model embraced the idea that one dog could produce two litters per year times five or six years. Some dogs could be bred even longer than that. Once their breeding years were done, they were disposed of in the easiest way possible. These poor dames and sires were given enough cheap food and housing to make these litters possible. Any extra expenses such as veterinary care was kept to a minimum so that profits could be higher. Puppies were picked up by brokers in plenty of time to be shipped to the pet stores ready to be sold the day they reached 8 weeks of age. There was money to make in this industry, why wouldn’t anyone want to get involved? And, many did just that. Soon people realized that puppies were a little different from cows, pigs, and sheep. Man’s Best Friend was being exploited like no other time in history. Once the word was out on the streets, the average person stopped buying pet store puppies and many of these ma and pa stores closed or refused to sell puppies along with their other merchandise. After 40 or 50 years, you would think pet stores that sold puppies would only be a memory (albeit bad memory) in people’s minds. Was I ever surprised when I walked into the first small pet store to find such a crowd waiting to buy a dog? It was so crowded that you could hardly move around. Why do people like pet stores, I wondered as I watched and learned? It soon became apparent to me. Avoid the extra time required to repeat the process all over again when it is time for the dog to go home. You don’t have to fill out lengthy questionnaires often required by rescue organizations, shelters or breeders. No one asks any questions of you except, can you pay for the dog. You don’t need to have a stranger enter your home, inspect your premises, and evaluate your ability to care for a dog. You can come in pick out a dog, take it to the cashier and walk away with a puppy, in less than an hour—how convenient. This is the easiest way to provide a last minute gift. So, with such convenience, you might ask, is there a downside to pet store puppies. If you have read this far, you must know that the answer is a resounding YES. Just about everything is wrong with purchasing a pet store puppies. The kennel operation must be paid, the middleman or broker wants a cut, the person transporting the puppies will need to be paid, and then there is the store. If they can’t sell the puppies within days of the pup’s arrival, they must also spend money on food and vet care as well as pay their employees to clean up after the puppy. I was shocked a few years back when one of my puppy buyers told me that the dog she had wanted at the pet store was going for $1100. She wondered how I could sell my puppies for $700 and still break even. So, if there aren’t bargain puppies, then what do you get with a pet store puppy? The store that I visited had a long list of advantages for purchasing their pet store puppies. They get the highest quality food. They even have a payment plan if you can afford the price. What more could you want? I, for one, would want a puppy that was healthy, looked clean and appeared well care for. Weekly vet checks are great, but not as important as how much time and attention the puppy is getting on a daily or hourly basis. A puppy that has parents I can see. I want to see where the adult dogs live. I want to see where the puppy spent his first 8 weeks of life—what was done to keep them healthy and happy and socialized properly. What type of health care the parents and other adult dogs receive? What testing is done on the adult dogs? What type of experience the breeder has had, and his/her level of education and training. Why, you might ask is this so vital to the well-being of the puppy? We have learned much through the research on brain development. A lot happens in early months some of which has lasting consequences for later development. As our dogs become more and more like surrogate children we want them to behave appropriately in and out of the home. There was a time in the not so distant past when people kept dogs to help them do a job that they were unable or unwilling to do. Dogs were herders, hunters, guardians, and protectors. They rid us of unwanted rats and mice, killed the wild animals that threatened our flocks, hauled our goods and kept our children warm at night. Many of these tasks are not needed anymore, but our love of dogs has remained steady throughout the years. Now, we need them more and more as friends, companions, and even surrogate children and grandchildren. We expect more of them, spend more money on them and get very disappointed if they don’t act in appropriate ways. Good breeding decisions are important to produce the healthiest dogs, with the best conformation and finest temperaments. Early socialization is also critical because we know that dogs (as people) are a product of nature and nurture. We don’t have a good grasp on how much of canine personality is molded by genetics and how much is environmentally influenced. But if you include prenatal environmental influences, I would suspect that both nature and nurture play an equally important role. Pet Store Puppies are at a disadvantage from the day you take that cute bundle of fur to the cash register and check out. It is not likely that any breeding plan was ever devised before their conception. Rather, a male dog was paired with a female dog, and voila your puppy was produced. Conscientious breeders want to improve the breed. Each mating is pondered and each parent dog evaluated for his or her strengths and weakness. Dogs are paired so that if faults exist in one of the parents the other parent will compensate to overcome them. Good breeders have a thorough and up to date knowledge of canine genetics and constantly keep abreast of new developments in the field. And, by the way, genetics is not a subject for the faint of heart—the last time I looked it was a senior level course in any college level undergraduate biology degree program. Professional breeders also understand the importance of prenatal care and the significance of providing a healthy environment for the puppies that have been born, but also those that are still developing in the womb. Congenital problems can arise due to inadequate prenatal care. Good breeders understand this and spend countless hours assuring that their dames have the best care possible. 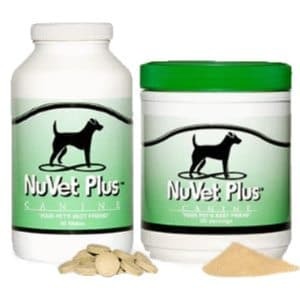 Whether this care is in the form of extra prenatal vitamins, better food, extra TLC, exercise or stress reduction or more frequent visits to the vets, good breeders do not spare the expense. They look for ways to make that 63 day gestation period a positive experience for their Dames. Doesn’t that sound like what most people would want for their own dog? Dog lovers provide this type of care to their pets, day in and day out. Good breeders do this too. Pet Store Puppies born in those Puppy Mill type environments just don’t have the same beginnings as puppies born in a breeders home. Their adults don't understand what it is like to snuggle up to their owners, sleep in their owner’s beds, or take a walk with their owner at the local park. So, I ask you. Would you prefer a puppy whose environment has been similar to what you expect to provide for your next best friend or one that is utterly foreign, bearing little resemblance to the type of home you want for your new puppy? Would you expect your new puppy to understand what it is like to live in a home environment with all the familiar sounds, smells, and sights you take for granted? Alternately, a puppy born in an environment where all he hears, smells or sees is other dogs could become fearful of a vacuum cleaner, a dishwasher, or even a friendly human preschooler who wants to touch the new puppy. Large dog breeding facilities do not provide the right experiences we would expect for a young puppy. They don’t understand how to potty outdoors or how to move away when people walk by. They are nervous around people they’ve not met or familiar objects that they’ve not encountered. But They Told Me that he came from a Local Breeder. No reputable breeder would ever turn over their puppies to be sold at a pet store. 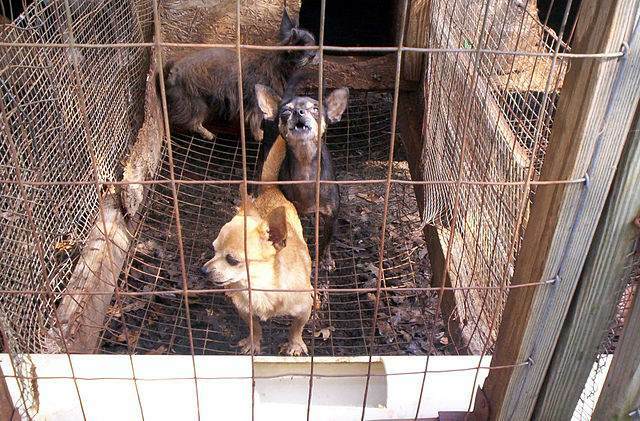 Most activists would tell you to avoid pet stores because you are just promoting puppy mills. While all commercial dog breeding facilities are not puppy mills, I am still for circumventing pet store puppies. If you want a healthy puppy, buy from a reputable breeder. If you don’t wish to purchase a puppy, adopt from a rescue or humane society that takes enough time to provide health care, training, and socialization for your new dog. What happened to my pet store puppy? I was one of those lucky ones. My breed had not become overly popular at the time so they were not over-bred. My sweet little pet store Shih Tzu named Susie, live to be 15 years old. Did she look like a show dog? Not even close. Was she fearful, aggressive, or come with bad habits? Let's just say that she wasn't fearful or aggressive. She did, however, have her share of allergies and other health related problems.